Maya's friend Bailey loves to talk about everything and everyone. At first, Maya thinks Bailey is funny. But when Bailey's talk leads to harmful rumors and hurt feelings, Maya begins to think twice about their friendship. 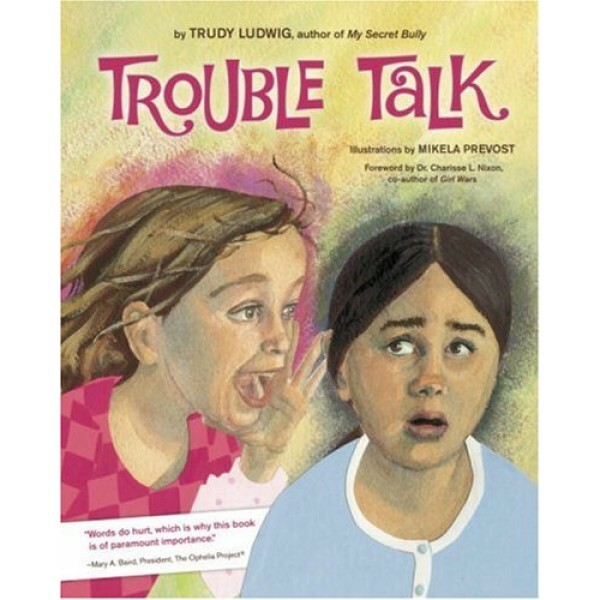 In her fourth book for children, relational aggression expert Trudy Ludwig acquaints readers with the damaging consequences of "trouble talk"-talking to others about someone else's troubles in order to establish connection and gain attention. 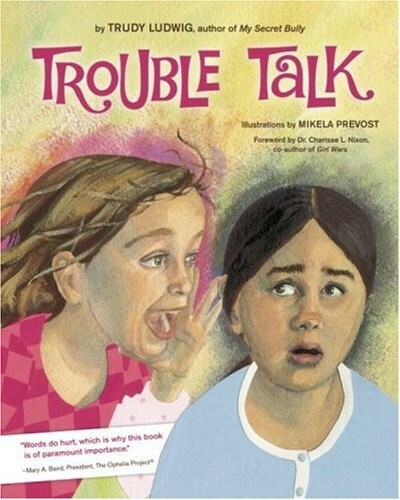 Includes additional resources for kids, parents, and teachers, as well as advice from Trudy about how to combat trouble talk. For more bullying prevention resources for children and teens, visit our special feature on the Top Bullying Prevention Books for Mighty Girls. Trudy Ludwig, author of six books for children, has been profiled on national television, radio, and newsprint. An active member of the International Bullying Prevention Association, she is a sought after speaker who collaborates frequently with organizations like The Ophelia Project, Hands & Words Are Not For Hurting Project, and Putting Family First. Trudy's books have received the Mom's Choice Gold Award, the Cooperative Children's Book Center's "Best of the Best of the Year" award, and have been recognized as NCSS-CBC Notable Social Studies Books for Young People.